Emma Chichester Clark (www.emmachichesterclark.co.uk) began her website, Plumdog Blog (emmachichesterclark.blogspot.com) to chronicle the real-life adventures of Plum, her lovable “whoosell” (whippet, poodle, and Jack Russell cross). Emma soon had thousands of loyal Plumdog devotees, and a book of the blog is published by Clarkson Potter. 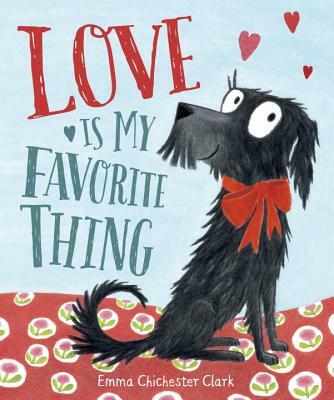 Love Is My Favorite Thing is the first Plumdog picture book for children. Emma has written and illustrated numerous picture books, including the Blue Kangaroo series. She grew up in the Irish countryside, where she began making books with sewn-up spines when she was five years old. She studied graphic design and later attended the Royal College of Art. She lives in West London, England, with her husband, three stepsons, and their beloved Plum.